News on the street is that Ginetta is ready to develop an all-new 600bhp-plus, carbon fibre-bodied supercar. Ginetta, the British specialist car builder, says it road-car division is planning to build an all-new supercar that they will reveal in the course of the year. Their new automobile will be built using a carbon fibre tub chassis and a full carbon fibre body. Powering the supercar will be an all-aluminium V8 engine, designed and built in-house, pushing at least 600bhp through a sequential gearbox to, we expect, the rear wheels. Considering their reputation for creating impressive racing cars, we surmise there will be functional aerodynamics to aid speed and handling too. This will be the first supercar since 2010s Ginetta G40R. The company says they are applying the knowledge gained from its racing program and applying the technology from its successful G55 GT4, which claimed first place in both the TA3 and TA4 American Road Racing Championships last year. 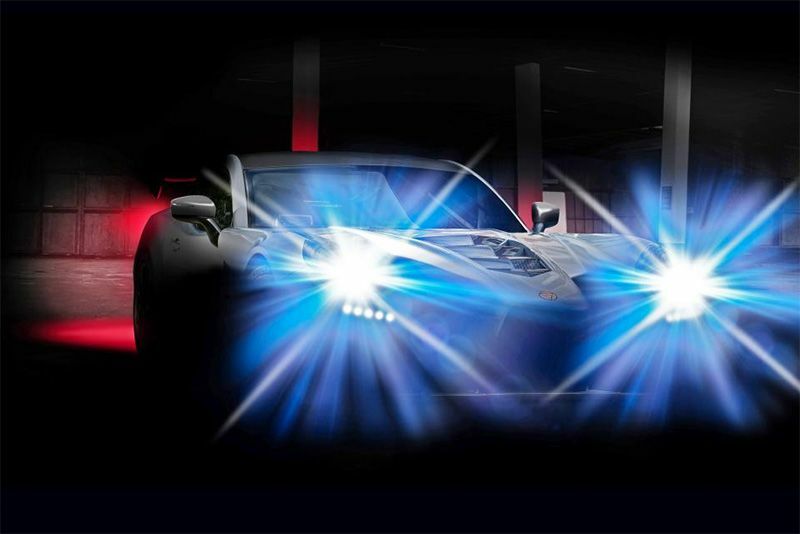 Pricing and full specifications for Ginetta’s new high-tech supercar are still to be announced, and only their teaser images hinting at the design aesthetic. What we do surmise from the supplied snaps is that the yet unnamed supercar will be a front-engined rear-wheel-drive with crazy vents in the bonnet and a rather large diffuser and rear wing. Pretty exciting stuff for a manufacturer whose humble beginnings were a simple kit car back in the 1950s..